Most of us are well aware of the amazing nutrient content of pastured eggs, their low price compared to an equal quantity of meat and their versatility to be a good fit at any time of the day. When it comes to versatility and eggs though, hard boiled eggs are the clear winner. You can easily prepare them in advance, bring them to school or work as a snack or even give them a fancy flair and serve them as deviled eggs. They are delicious on their own, or with a little salt and pepper on top, or even pickled with many more flavors. 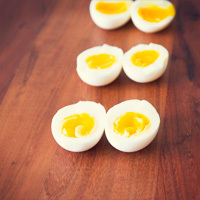 Making great looking and great tasting hard boiled eggs is pretty straight-forward; all you need is to stick to one technique and repeat every time. 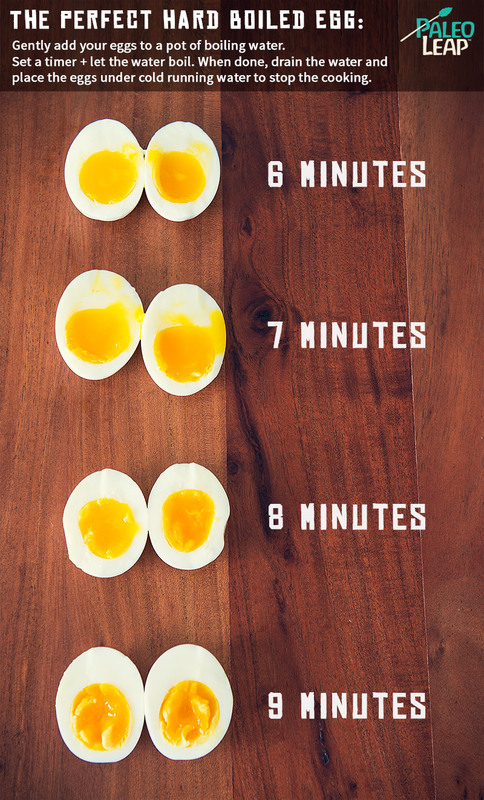 Your mileage may vary depending on the size and freshness of your eggs, but you can refer to the visual chart below for an approximation on how long your eggs should stay in the boiling water. Quick tip: Add about 1 teaspoon of baking soda to the boiling water to make the eggs much easier to peel once they are cooked. Also, don’t forget to run the eggs under cold water right when they are done to prevent them from overcooking.